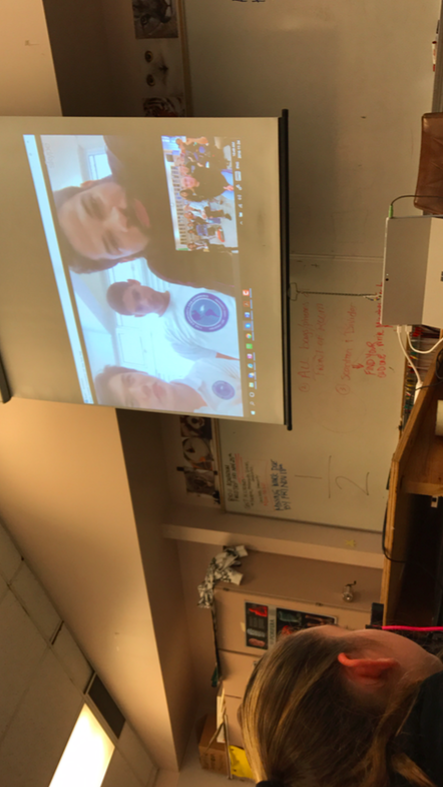 2) Mr.Robison’s science 9 class was lucky enough to have a Skype call with the Dominican Republic and New Brunswick. Having the opportunity to speak with high school grade 11 students in a different country/province was a really cool experience. We had the chance to ask them many questions based on light poverty and lack of electricity in the Dominican Republic. 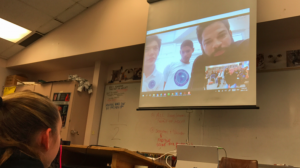 Our first Skype call was on November 24th 2016 speaking with the Dominican Republic. Two staff members from a private school in the Dominican named Dennis and Eladio gave us descriptive information about the electrical issues and light poverty they have were they live. They told us many facts and showed my class photos of what their housing looks like from the outside. Many buildings looked very rusted and had no power source. My class was split into groups and one student from each group was able to ask a question. My question I asked was “What are the conditions like at school and how does it effect you?” Eladia and Dennis responded by telling me about how little light they have during the day. We were told that in most places there is access to electricity for about 2-3 hours a day, some places have no power. The elite private school in the Dominican Republic is lucky enough to have electricity and has the money to afford the use of computers, iPads, 3D printers and telephones. An elite private school in the Dominican Republic is equivalent to a regular public school where we live (Canada BC). 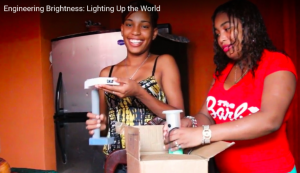 In the Dominican, most public schools have no access to any power and mostly use daylight as there only source of light. During the day children are out in the cane fields where they are forced to cut cane for 14 hours a day every day because their families can not afford for their children to get an education. Eladio and Dennis had very descriptive responses to all of our questions . I think the Skype calls were helpful towards our fundraising process because New Brunswick gave us good tips on s hipping the lights and what materials to use. The Dominican Republic Skype call gave me a better understanding of the problems that are going on there. 3)My group of three has a goal to raise $500 dollars to supply the lights and shipping cost for sending solar powered lights to the Dominican Republic. To reach our goal we will be connecting with Pitt River middle school. The middle school will be helping us raise money by doing bake sales, making posters, announcements, exedra. Besides connecting with Pitt River we are hoping to get Kilmer elementary school to donate and help raise awareness. We feel that the more schools we have raising awareness, the more our community will donate. Getting more schools involved would help our fundraiser and would save a lot of families from light poverty in the Dominican Republic. Below is a link of a power point my group has created. We made this power point to present in front of the leadership class at Pitt River Middle School on Tuesday December 6th, 2016. We created this power point so that the Pitt River students can have an understanding of what is happening in the Dominican Republic and our plans to support them. When we talked in front of the leadership students at Pitt, they all seemed very enthusiastic about the whole idea of helping a different country where most people are living under the poverty line. When we had finished our presentation the room was filled with positive thoughts and tons of questions. We are all very exited to start our fundraising to achieve our goal of $500 dollars. Thank you for writing this blog post about such an important issue. I’m impressed with your project and with the PowerPoint you created. Good luck with your fund raising! Thank you for commenting on my blog. 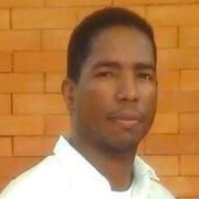 I agree that this is a very important problem that is happening in the Dominican Republic. My group and I have been working hard on our fundraising plans and I am glad you enjoyed my post. I agree with you, I like the skype chats too! I liked you PowerPoint and it gave me more information.